I don't sew a lot, but when I do I enjoy it as a creative outlet. 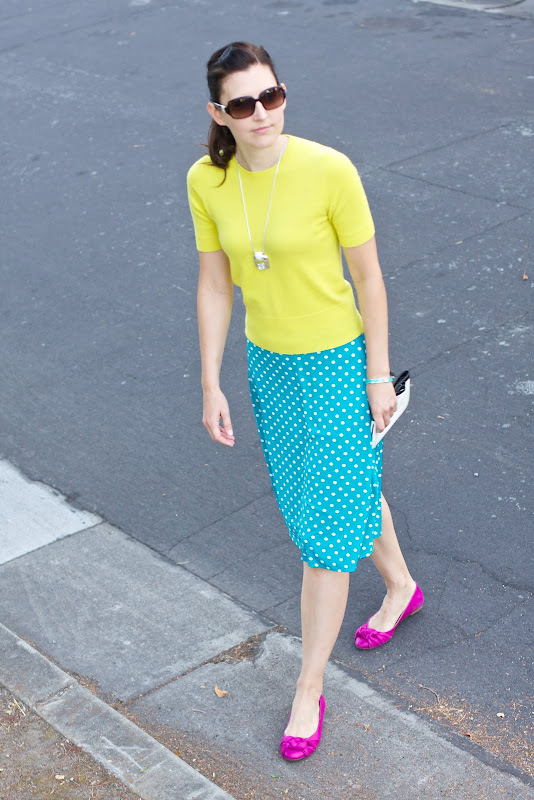 I made this skirt from an easy pattern (it's an A line skirt with an elastic waistband). I love the color and polka dots. 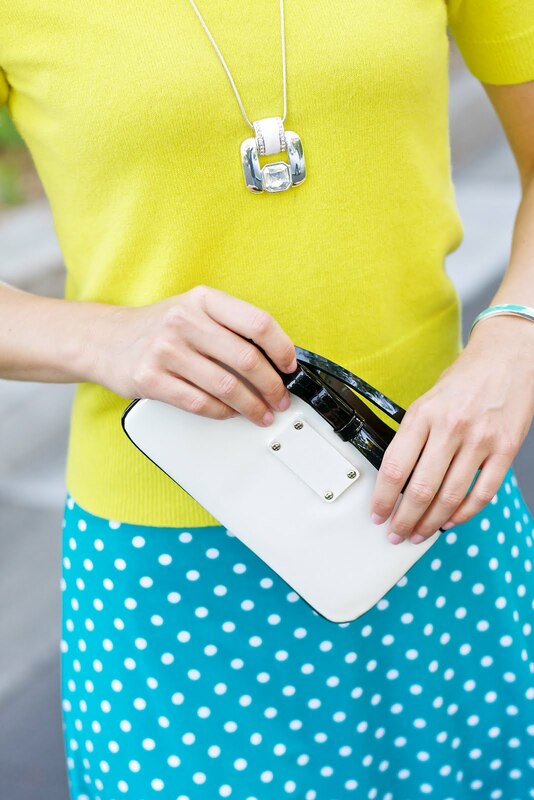 I paired it with a yellow short sleeve sweater because I think it makes the polka dots pop. The shoes I bought from a store in Palo Alto, California called 'In her shoes'. They donate all their profits to a charitable organization called the Global Fund for Women. Unfortunately, they don't sell their shoes online, but if you happen to be in the Palo Alto area, you can check them out. Skirt: Self-made, I used an easy pattern- it's just an A line skirt with an elastic waistband. Post a comment if you'd like more details on the pattern.